Sgt. Lee D Givens, son of Claud Givens, attended Frederick High School. 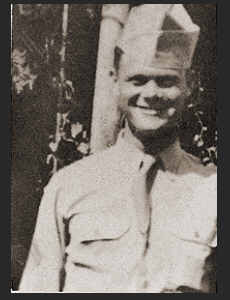 Entered Army in May 1943, trained in Ft. Knox, Ky. and Camp Chaffee, Ark. ; served in Czechoslovakia, France, Germany and England where he is now on duty. Awaded ETO Ribbon with one Battle Star.